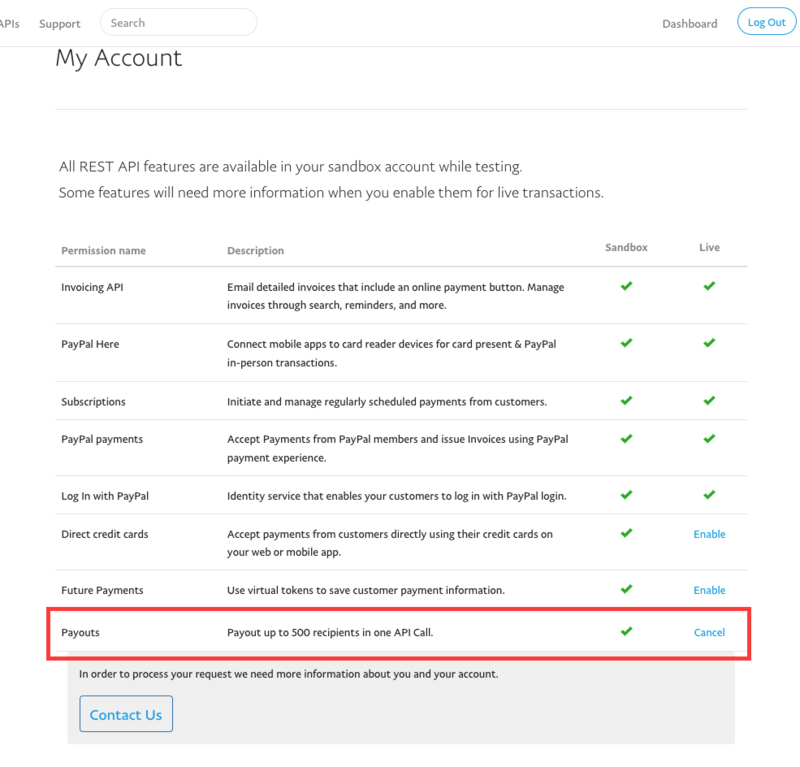 You need to log in in the Paypal Developer panel and register new app for your account (From the menu on the left, click on the My Apps & Credentials page, then in the REST API apps section, click Create App). You can set whatever name you wish. After you have created the app, open its details from Dashboard -> My Apps & Credentials, scroll down until you see section "REST API apps" and click on your app. From the new page, copy the client ID and Secret for the Live mode to your Paypal API integration page. Note: by default your app is in Test (Sandbox) mode, please switch it to Live mode. Notice that the credentials will be different for Test and Live mode. When you make a payment, the funds will be taken from your Paypal's balance i.e. if your balance is empty, evne you have attached a credit card, the Payout will fail due to insufficient funds. The payouts are made in the currency you have set in Affiliatly, if you don't have a balance in that currency in Paypal, the payout will fail due to insufficient funds.